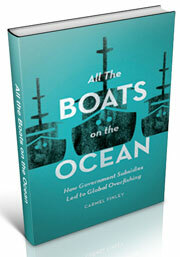 ← The Western Flyer: Steinbeck’s Boat, The Sea of Cortez, and the Saga of Pacific Fisheries. 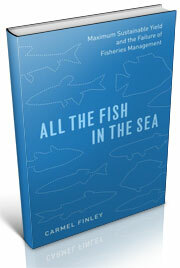 We are extremely pleased to say that the book has gone to our publisher at last. Alert readers will remember this is the project we started during our fellowship at the Rachel Carson Center in Munich, almost three years ago. We could not have written the book without the blog and the stories we have told here. One of those stories involves this boat, the F/V Yaquina, one of the first boats to fish in deeper water in 1945 and pioneer the Pacific ocean perch fishery (POP, redfish, rosies). 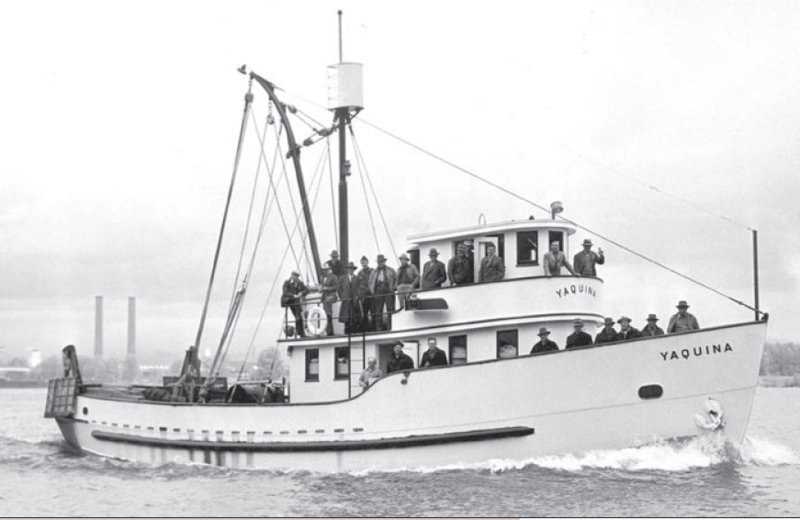 Built at Gunderson’s Marine in Portland, the Yaquina was the first non-military boat built in Oregon in 1944. The deck hard on the maiden voyage was a Newport fisherman, Gordon White. This images comes from the company history. The Yaquina shared the stage with a number of other significant vessels, as documented for us by Bob Hitz. We’ll be writing more about her in the near future. 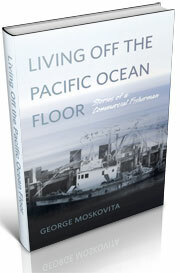 This entry was posted in boat building, Carmel Finley, Environmental History, fisheries science, Fishing, History of Science, History of Technology, Marine Policy, Maritime History, Ocean fishing, Pacific Fishing History Project, R/V John N. Cobb, Rachel Carson Center, Resources About Fishing, Rosefish, Sebastes rockfish, World History and tagged Captain Gordon White, F/V Yaquina, Gunderson Marine. Bookmark the permalink.